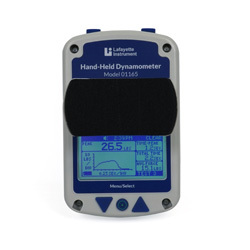 The Lafayette Hand-Held Dynamometer (formerly known as the Manual Muscle Tester) is an ergonomic hand-held device for objectively quantifying muscle strength. The test is performed with the clinician applying force to the limb of a patient. The objective of the test is for the clinician to overcome or “break” the patient’s resistance. 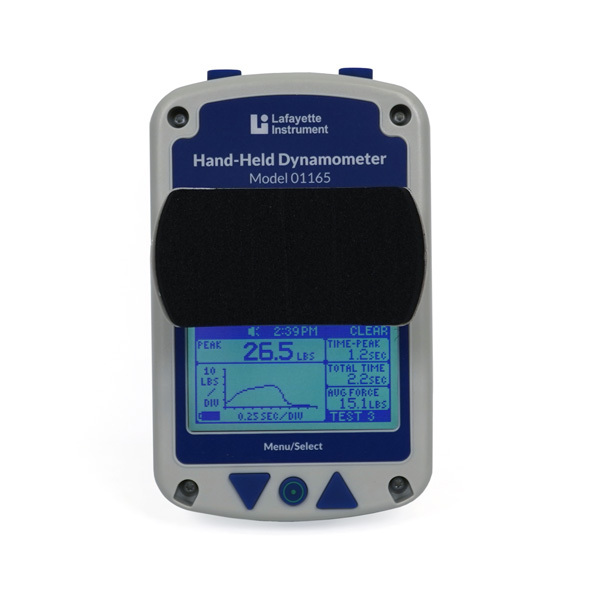 The Hand-Held Dynamometer records the peak force and the time required to achieve the “break” providing reliable, accurate, and stable muscle strength readings that conform to most manual muscle testing protocols. The HHD also features a wide range of customizable options for data storage, preset test times, and force thresholds. 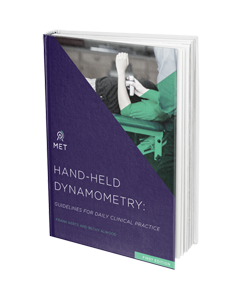 For more information about using Hand-Held Dynamometry, MET has published a guide providing clinicians with resources for applying evidence-based practices. Simplified documentation is split into 5 detailed sections covering many areas of use. Buy the book from our website!